I have a patio light which is not working. I have replaced the actual light unit and still nothing. I have one of those voltage pens which does indicate there is voltage present at the switch and at the light. I have since got a multimeter and would like to test both at the switch (Single, one way switch) and at the light. Then, at the light, red probe to the live and black probe to the neutral, giving a reading of 240V? Considering the voltage pen shows voltage present, I gather the switch is ok but will see. Otherwise I believe I could have an open neutral? Your understanding here is slightly flawed so tread carefully. Those voltage pens are a bit limited in that they only show there is AC electricity present not continuity of wiring etc. and should only be used as a basic check and test - they also don't tell you if there if full 240V etc. so they can actually detect e.g. 50V and will still imply there is voltage - there is but not enough to do much on a 240V circuit. If you meter across the switch (Com and L1) and there is an open circuit elsewhere (probably is as your light doesn't work) you would see 0V between common and L1 - which in your current thinking would probably cause you to think there was a fault there. First thing I would do is see if you have 240V between Live and Neutral at the terminal block of the light fitting, or 240V at the lampholder assuming it is a standard B22/E27 lampholder fitting (take care not to short the lamp holder with your probes) if the fitting is an LED etc. then you will need to probe at the terminal block or feed to the driver etc. It matters not a bit if you use the red or black probe on live or neutral. If you see no voltage between line and neutral then try between line and earth - if you see voltage between line and earth then you probably have a break in the neutral or a loose/pulled out connection. If you see nothing there try between neutral and earth (just in case!). 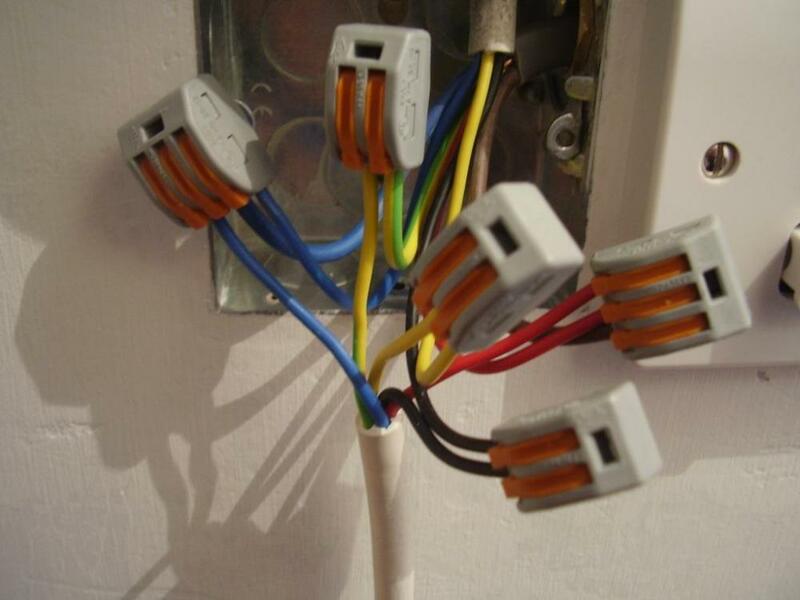 If the supply at the fitting seems totally dead then assume a broken wire or missing/loose connection somewhere before the light. At that point go back to the switch and prove voltage, if it is just a switch drop then you may only have feed and switched lives with no neutral, in which case you can meter between the live and the earth to prove a feed - check for 240V. 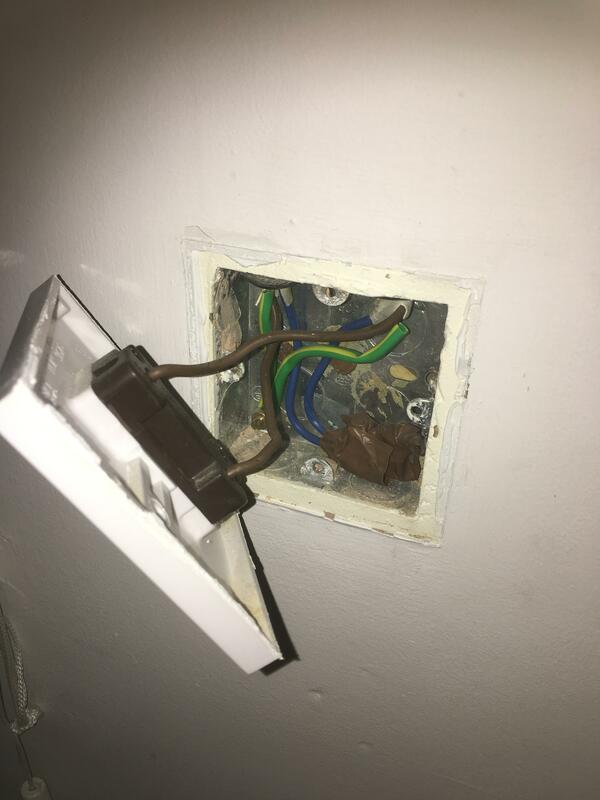 If this checks out you will need to find the junction box where the switch drop is taken from and start to meter out the supply and check the neutral. Don't undo or move anything at this point - assuming it worked before then moving things will not help if you don't know what you are doing you could create a dangerous situation. I will do as you say and test between live and neutral at the terminal block of the light fitting and go from there. The light I replaced a while back (inside) uses one of those clamp type inline connectors and I did battle to get the neutral to secure properly. The light works perfectly but if it is not making a good connection, could this be the source of my open circuit? If a volt stick indicates voltage but the light does not work, you could well be missing a neutral. Be very careful as when you find the erant loose neutral wire it may well be live. If a volt stick indicates voltage but the light does not work, you could well be missing a neutral. Be very careful as when you find the erant lose neutral wire it may well be live. I will be sure to shutdown all supply to the house while investigating this. @Wes, never mind shutting down, I wouldn't have the courage to ask about something like that on BH. I wouldn't understand the answers. I had a look inside the switch yesterday and it has two brown wires, one to COM and the other to L1. There are some blue wires in the box with the ends taped up. With the power turned off, expose the blues ( neutrals ) and ensure they're all made off together in the same block. A pic would really help here. With the blues checked out the power back on with the switch open. Test between COM and blue reading voltage and then do the same between L1 and blue. Then flick the switch and do L1 to blue again to see if the switch changes the state of L1. Sounds like a dodgy neutral to me but impossible to say down the Internet. Should the test between COM and blue and L1 and blue show 240V? And if the L1 to blue voltage is different when the switch is flicked, what is this telling me? Note it's sadly quite often the case that blue wires used as switch wires are not marked with brown sleeving! Getting 230v to zero V and back again between L1 and neutral will tell you the switch works . You have 3 neutrals most likely. 1) the loop in ( 230 v being brought to the switch back box ). 2) the loop out ( 230 v being sent to the next light fitting / back box ). 3) the neutral from the light. Loop in live / loop out live and switch wire live ( Common ) will go to a connector block and then to the Common of the switch, or they will all be stuffed into the Common terminal. Light fitting live live will be going into L1. Live and Neutral: 3V......clearly not right! can it be anywhere in the room, as in plug sockets, lights, appliances. etc? I'd start with what YOU have touched or might have pulled. Worst case is probably a junction box under a laminate floor! Look for something loose on THAT circuit i.e the lights. I changed a light and the neutral was a pain. Checked it tonight and looks ok. Fits in to one of those in line clip connectors...rubbish in my opinion so perhaps I should change that. Also changed a plug socket so will check it. 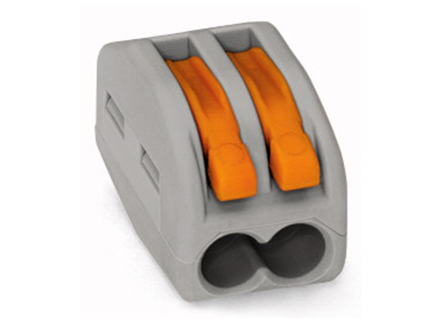 In line clip connector? You don't mean one of these, a Wago? They are foolproof. But when you think they're "down" the orange lever goes a little more. No, not that one, it came with the Ikea lamp..I’ll get something like this and change it out. The beauty of the pictured Wago is it also has a little test probe hole. Screwfix don't sell them individually. TLC do. Where are you? Maybe one of us is local and can drop one in. Just a regular connector block if desperate. Having a look at the indoor light which was replaced - there is no ceiling rose....clearly where the problem is coming from as there is no loop. If I am correct, there should be wires for loop in, loop out, and switch? Will check again after work what wires are there. Look at those pdfs I posted they show loop and also junction box wiring. Thanks Onoff -that is a big help. Do I have to get a ceiling rose, cant I just buy connectors with neutral, live, loop and earth? Unless I am getting confused, your earlier picture showed neutral at the light switch. So your house is wired "loop at switch" so you should only have a single L, N and E at the light fitting. Perhaps 2 of each if the switch controls more than 1 light and it loops off to another light fitting. Time for some dead testing to check the continuity of the L and N connections all the way. I'm a bit lost but guessing a WORKING rose has been ditched and a new light put up? You need to identify the cables, mark the switched lives probably blue with a brown sleeve and rewire. Edit: Good point from Dave, my diagrams DO NOT show the loop at switch method.